Two of my three amazing and talented sisters came to visit last year. It was a good excuse for us to do some touristy things in the capitol. 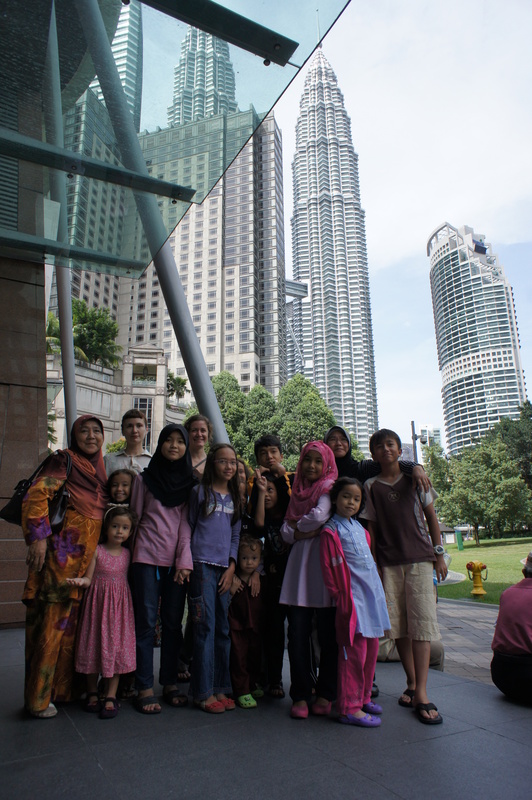 We met them in KL and headed to the Kuala Lumpur Bird Park! The park was wonderful. Right in the middle of downtown KL, it is a valley covered over with netting so that the entire collection of birds live uncaged down below. That’s not completely true: the predatory birds are kept in cages for obvious reasons. There were so many interesting and colorful birds to see that the dozens of peacocks wandering freely about the place didn’t even distract from the rest of the scene. The park was much larger than I expected. We spent all morning wandering around and only saw half of the vaguely figure-8 pathway network. Even without little children needing to carried, watered and rested, I doubt we could have taken in the whole park in a morning. I intend to return someday. Highly recommended if you’re looking for a daytrip in KL. 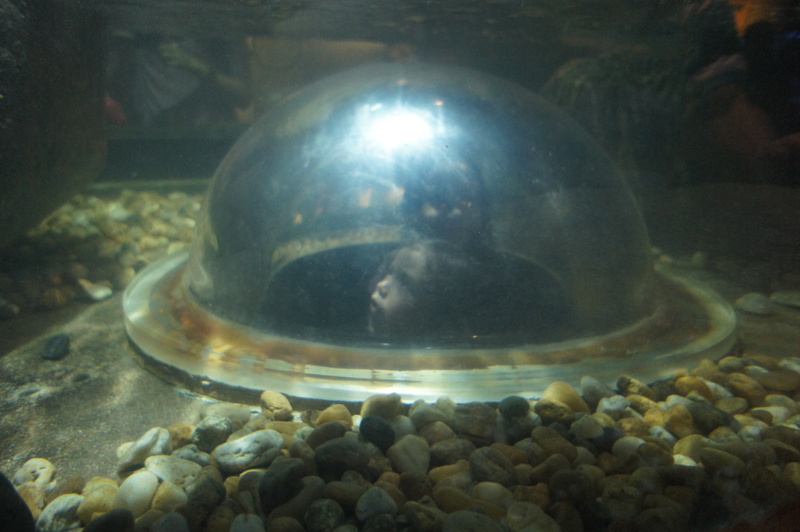 The Aquarium was also fun. The best part is a walkalator that winds through an enormous tank while mantas, sharks and schools of fish swim all around. 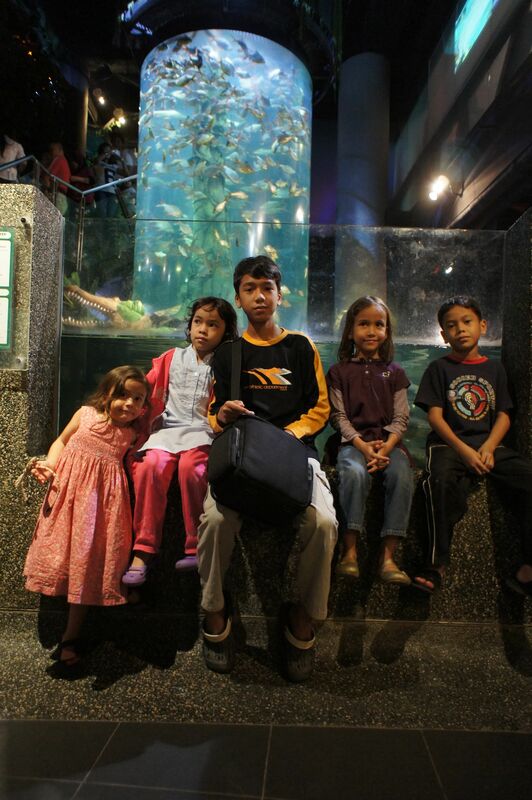 The KL Aquarium is located in the basement of KLCC, the big mall adjacent to the Petronas Twin Towers. I didn’t like the the linear layout: you couldn’t wander around so much. Instead you had to keep moving along the one-way circuit till you got to the end. Still it was memorable and the kids had a good time. Didn’t go to the bird park but we did get to go to Aquaria. Kids loved it. 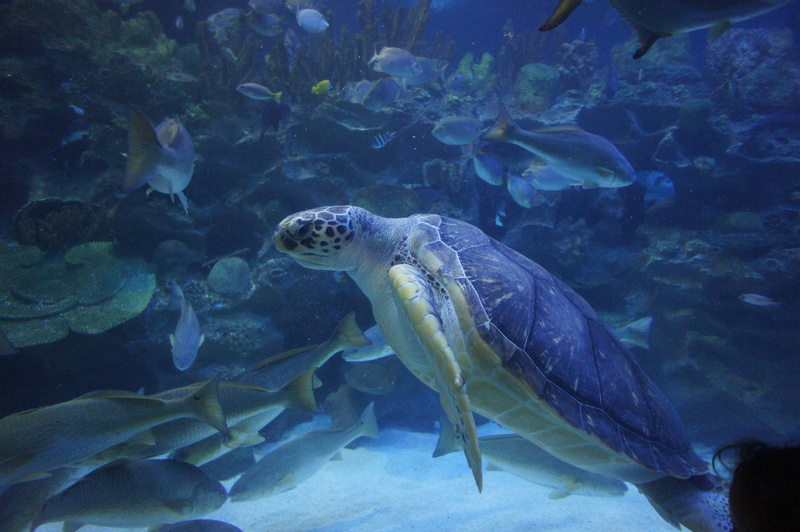 wslm, yeah one nice thing about Aquaria is it is air-conditioned! You have to be prepared to sweat a bit to enjoy the bird park. Oh it’s you,sister! Just realized what OMWITS stands for, lol.